Interested in witnesses ? You want to be able to see it from Busy ? If you have ever use Steemit, you might have notice one of our feature, the Steemplus tab in Steemit nav bar. We added a lot of feature in this tab. We decided to implement those features on Busy too! For this new version we also decided to implement the favorite section on Busy. It was actually a really difficult because we had to change all the behavior of our tab system to make it work on Busy too. For the first step, we will have two new pages, the @steemitboard Awards and our witness tab. @steemitboard provide a nice system of awards based on how much you use the blockchain. You can have a lot of trophies depending how many posts you made, how many comments you wrote, how many articles you liked and a lot of other. You can now access all your awards from Busy by clicking on the link awards! Every award has a description that you can access by clicking on this award. This feature was really important for us. @stoodkev being a witness (don't forget to vote for him if you haven't done it yet :p), it was important to be able to access all the informations about witnesses from Steemit and Busy. This feature was already available on Steemit and now it's also available on Busy! There different cases depending on if the user is a witness or not, or if he is using a proxy. As you might know, if you are using a proxy, all the votes you made before are not taken into account anymore. So we decided to display a link to the page of your proxy. If the user is not a witness, we will only display a list will all the votes the user has made. This list is sorted by the rank. 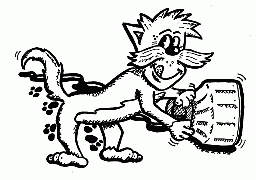 If you are on your blog, you will have a small form to vote for a new witness. You can obviously access the same information as previously. You can also access two other tabs. The last tab display all the votes received by a witness. A lot of users told us that they really like the favorite section! It allow you to choose up to 10 favorites users. You will be notified every time they publish a new post. Clicking on the link will take you to their blog. On Chrome and Opera, it should update automatically when you restart your browser. Otherwise, right click on the extension icon > Manage my extensions > Update . On Firefox you will have to reinstall the whole extension from Chrome Foxified. The complete list of feature and their description can be found in the documentation. Option to add beneficiaries to your post (you can say that 10% of your post payout will go to one of your friends for example) - 5% fee goes to SteemPlus if you use this feature. You can download and install SteemPlus directly from the Chrome Store if you are using Chrome (follow this link ). For installation procedures on Opera and Firefox, please check our documentation. Big shoutout to @jerrybanfield and his budgets project that allow us the speed up the development of SteemPlus! Like what I do? Vote @stoodkev for witness! I just voted you for witness,sorry it took so long! I had a proxy but now that I have been around the block a few times I think I can vote for the right people! To the new people,Let somebody like @stoodkev be your proxy till you know more about this platform! He cares about always improving this platform and has always replyed to minnows and listens! It is just awesome. I use the tab. Well I still follow this, I've been using the surfer desktop client more, so you haven't seen as many comments on these posts. I've actually forgotten to look this week. Anyway, keep up the good work. And good luck on the next update. I upvoted your contribution because to my mind your post is at least 34 SBD worth and should receive 140 votes. It's now up to the lovely Steemit community to make this come true. 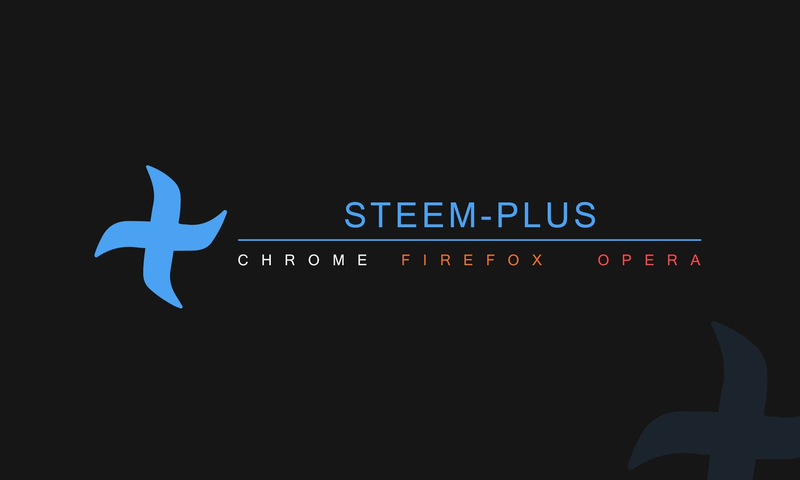 This post has been just added as new item to timeline of SteemPlus on Steem Projects. If you want to be notified about new updates from this project, register on Steem Projects and add SteemPlus to your favorite projects. I have a question. Can I power up my posts 100% using Steem-plus? Is the steemit plus website ready. I still cannot get beyond this point in firefox. It's been the same for the last two upgrades. I wait hours and nothing happens. Thank you for your contribution. You should now start a tutorial series of using the SteemPlus since it has so many features.